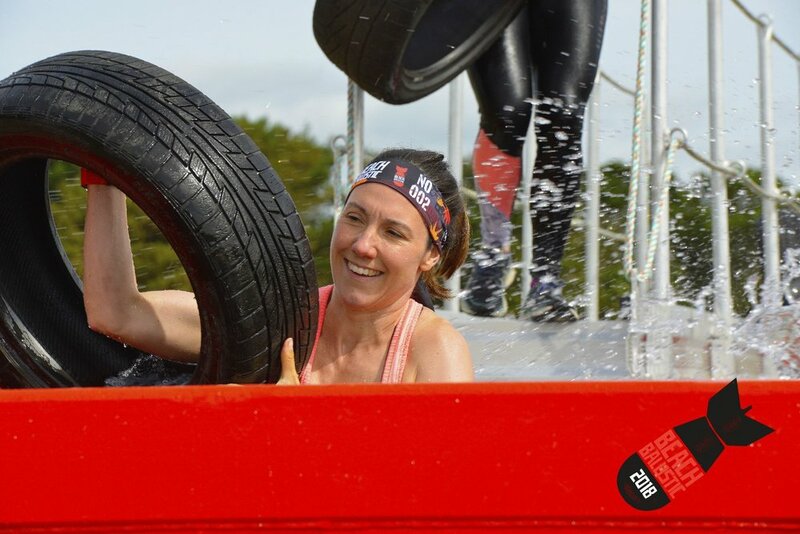 Last weekend I took part in the Obstacle Course Race, Beach Ballistic up at Balmedie in Aberdeenshire. I have done a few OCR’s before, but I tend to stick to trail running races, preferring the simplicity of going from A to B, usually via a few hills and mountains. I wasn’t alone in my weekend adventure with 5 of us packing up our camping gear to make a weekend of it, as part of the Edinburgh MudRun group. Day 1 on the Saturday was a 16km race that I did along with one of my clients Shirley. I had not actually met Shirley before as she is an online client, but when I had thrown the challenge into my online PT group, she was the only one that had responded positively! I am glad she did, as having a running and obstacle buddy made the whole experience really enjoyable. We plunged into water pits, dragged ourselves over walls, ran along a lot of beach and carried various heavy items up seemingly endless sand dunes; all for fun! And it was genuinely fun and we both finished on a real high. Day 2 was a 7km course and this time my aim was to do it as fast as possible; after all it was only 7km and I am used to running a lot further, so how hard could it be? I can say without any doubt that the 7km destroyed me. I kept getting told I could be first female and I felt the pressure right from the start. In the end I came 2nd female and 7th overall and I was very happy with that. Sheila George from the group came 1st female and 1st and 2nd and 5th male were also from the group. 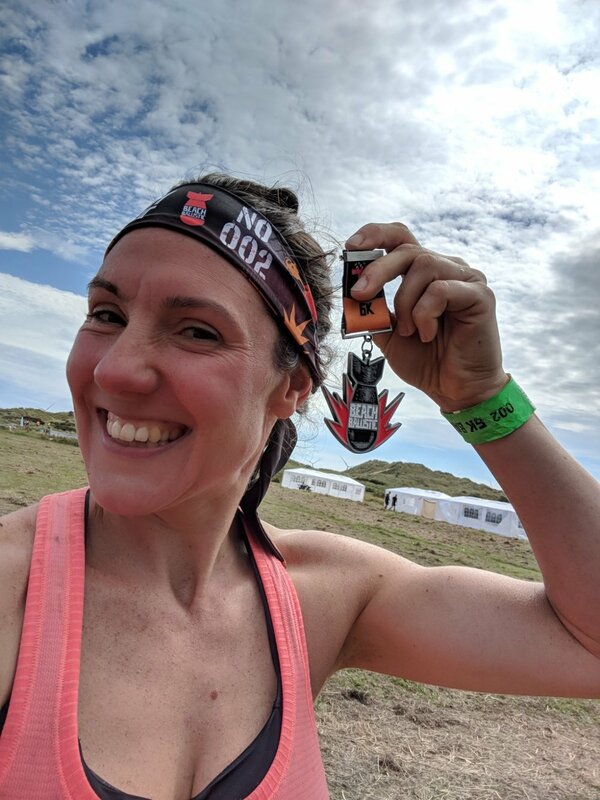 It was tough and challenging with the obstacles more tightly packed together and feeling a lot harder than Day 1, but the sense of achievement I had at the end was huge. I felt really strong physically and mentally as I had completed obstacles I had no idea I could do and had succeed on some, where I saw many other, seemingly much stronger people, fail. It felt really good. Having done that, I feel like I have shown myself what I am capable of. I pushed myself as much as I could and I came away feeling positive and more aware of what I can achieve. I am not saying that we all need to go out and do OCRs, but doing things that challenge us are really important as they are what help us become stronger and grow and show us how awesome we are! Not all stories end positively like this one. I have tried plenty of things and not been successful and the last few trail races I have done have not been great. But I try not to ever let that stop me wanting more for myself and challenging what I am capable of.